You've heard that email is still the most effective way to market your products and services. So you signed up for Mailchimp. And then you felt like crying. Another thing to learn?! "I know email marketing is important, but how can I learn how to use Mailchimp to its potential?" The truth is that understanding Mailchimp is a lot more than just learning how to send an email. With powerful reports, segmentation, and automation workflows, you can actually personalize your emails to the right audience, driving your open rate up, and eventually, your sales. 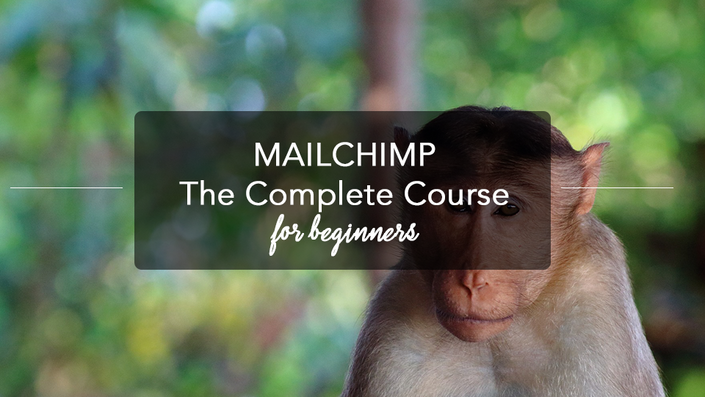 There's a lot to cover with Mailchimp, which is why I've turned my popular webinar series into a course. You can have access to all the videos instantly, and they are segmented out by topic so you aren't stuck watching a 2 hour video when you want to learn something really specific. All the basic training module videos are less than 20 minutes each. That means, you can watch a video lesson and implement the skills in less than an hour. Extras like API integration, FB signup pages, etc. In addition, I've included two webinar replays - my basic overview Mailchimp webinar, and my newsletter design webinar.